about this book: Anyone who has to avoid both gluten and dairy products will find this cookbook invaluable. There are over 200 recipes included, from basics to party specials. Celiac disease is a common cause of gluten intolerance, but by no means the only one. In the early days after diagnosis, many CD sufferers find that they also temporarily have to avoid dairy products as well, because the damage caused by the disease has made digestion of milk and so on impossible. Although this generally goes away after a year (more or less), it's hard enough to learn to avoid one ubiquitous foodstuff, let alone two. 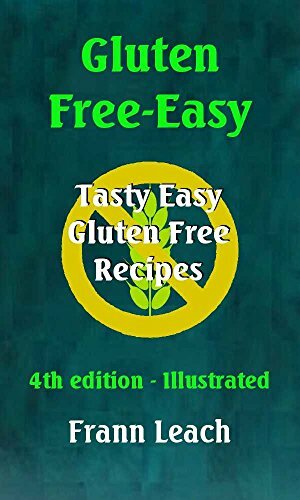 Vegans who are gluten intolerant will also find the recipes in "Gluten Dairy Free-Easy" helpful, as will anyone else who has to avoid both gluten (mainly from wheat) and dairy, including mothers with autistic children who are on the GFCF diet. The book is divided into section, including basic recipes, soups and starters, main courses, vegetable dishes, desserts and puddings, cakes, bakes and sweeties, terrines and patés, salads and celebration and party specials. All in all, if there's a situation you need to cater for, it's got you covered.